Thank you for registering with Navy Brand! An emulsion-based foaming industrial cleaner and degreaser. Contains both water and oil soluble components to do a tough clean on many kinds of soils, yet formulation is environmentally friendly. 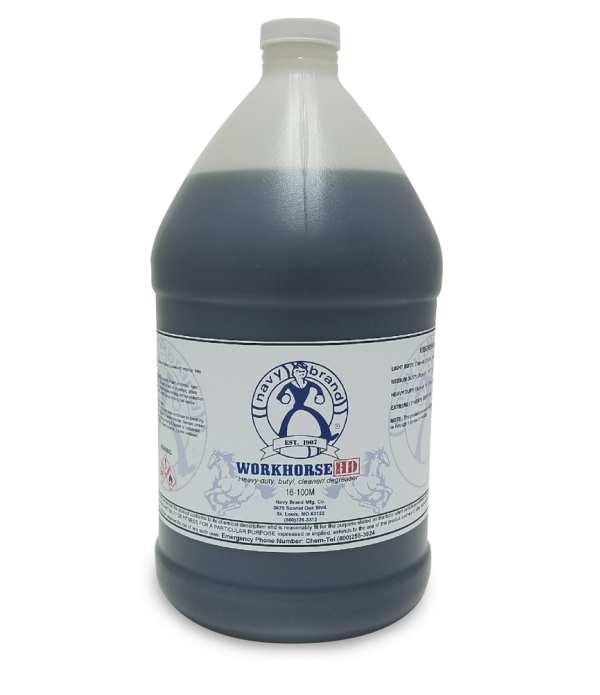 A heavy-duty cleaner/degreaser formulated with butyl. EPA-N/A USDA-C1This product is available in the following packaging options:55 Gallon Drum35 Gallon Drum30 Gallon Drum5 Gallon Pail4 x 1 Gallon Jugs12 x 17 oz Bottles..
Navy Brand manufactures and distributes industrial-strength concentrates, as well as USDA-rated and EPA-registered products. Copyright © 2018 NavyBrand. All Right Reserved.